So it's time to get off the diet roller coaster, and time to start Living the Lifestyle. You’re on the go. You’re hungry. The fast food restaurant tempts you with its convenient drive-thru, cheap food options, and quick service. Does this scenario sound familiar? If you’re like most people, eating healthy and being in a hurry do not go hand in hand. At Functional Fitness, we know how difficult it can be to eat healthy while living on-the-go. And these days, there seems to be a food chain on every corner that promises quick and convenient food. But what about nutrition? These quick food options are slowing you down! A Sustainable Program that Works! Functional Fitness is your source for nutritional consulting. Our mission is to design a nutritional plan that works with your lifestyle, no matter how hectic it may be. Throughout the years, we have helped many people lose weight and get in shape with our nutritional planning services. Here at Functional Fitness, we don’t think losing weight is about depriving yourself of food, but rather about understanding the types of food you’re putting into your body. 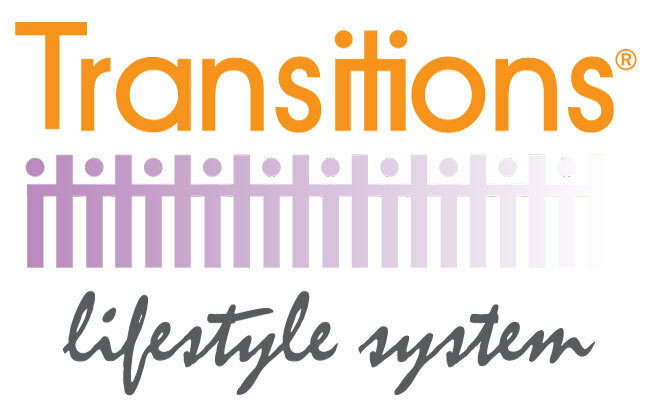 We refer to this program as the Transitions Lifestyle System because it’s not a diet, but a lifestyle. At the initial consultation we will evaluate your body type and current fitness level to determine the best course of action. We will continue to be by your side every step of the way until you reach your goal! If you are in or around Lewisburg, Chapel Hill and Cornersville and want to know more about our nutritional program, please give us a call or stop by Function Fitness today. We are looking forward to meeting you! 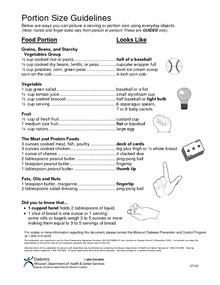 This guide will assist you to picture a serving or portion size using everyday objects.